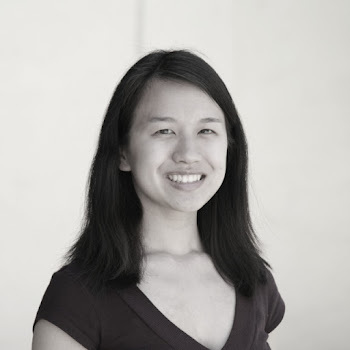 Hooray to having a time-sensitive idea and actually executing on it only . 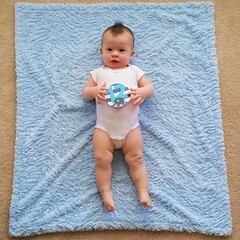 . . a week and a half into the new year! 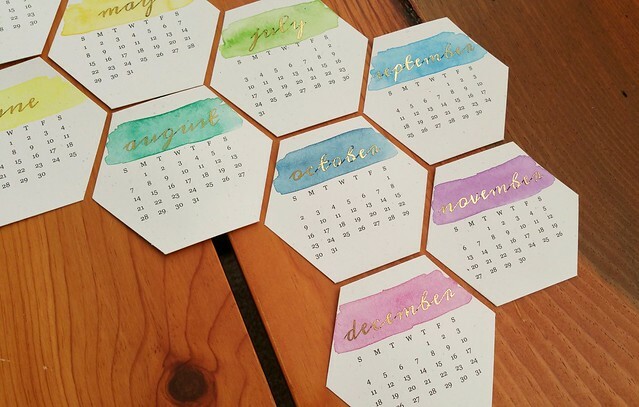 I usually keep a little calendar on my desk and although in the past, I've had the Whisker Graphics flashcard calendar, I don't believe they have it anymore, and I wanted to make a hexagon one. With watercoloring. And gold foil. I have mixed feelings about the gold foiling - although I've seen others get good results with laser printer/copier toner and a basic laminating machine, I've not been able to get good, consistent results when I give it a go. That aside, the rainbow watercoloring is thumbs up! 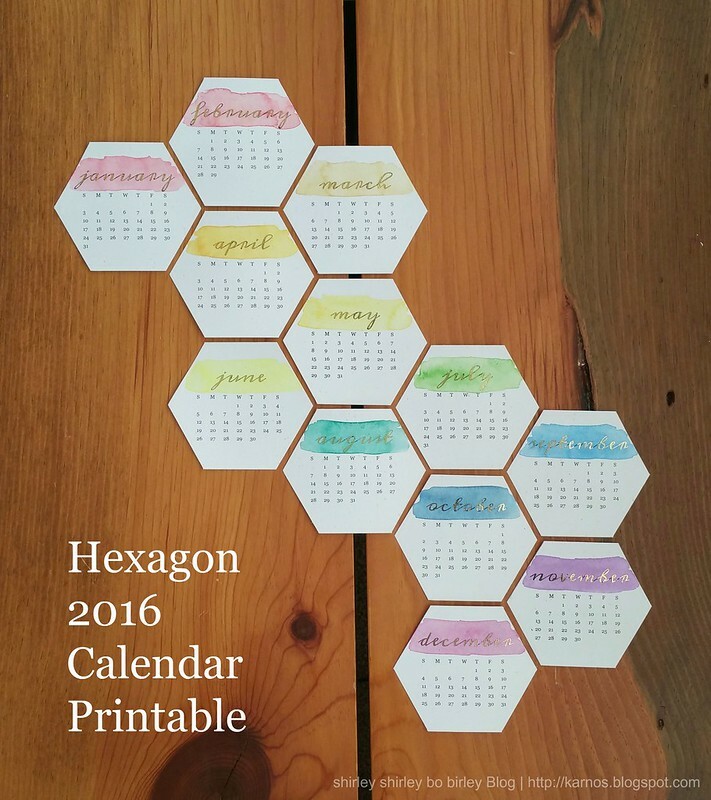 Print the calendar on cardstock. Use a printer with toner if you want to do gold foiling. 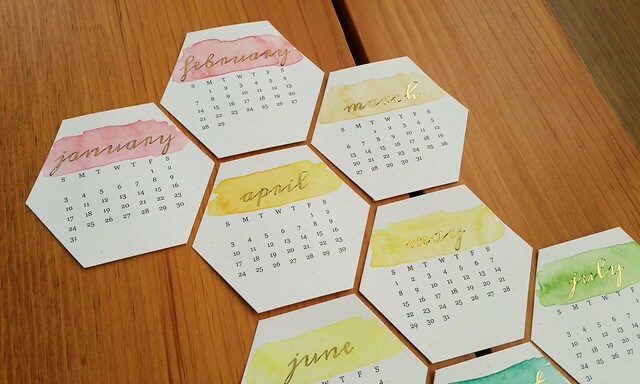 Trim the hexagons out with a paper trimmer. Trim right inside the black lines (the guide wire on a paper trimmer helps with that). For gold foiling, cut foil to size and run through laminator. I only did the months (not the dates). I didn't use a carrier sheet when I fed the foil and hexagon into the laminator, but I did use some tape to secure the foil piece to the hexagon so it didn't move around. 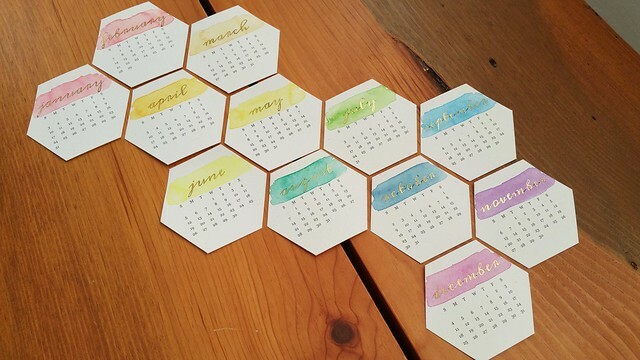 I did mask the dates when I fed the hexagon with foil into the laminator to prevent the toner from transferring. Using a brush, apply watercolor over the month. 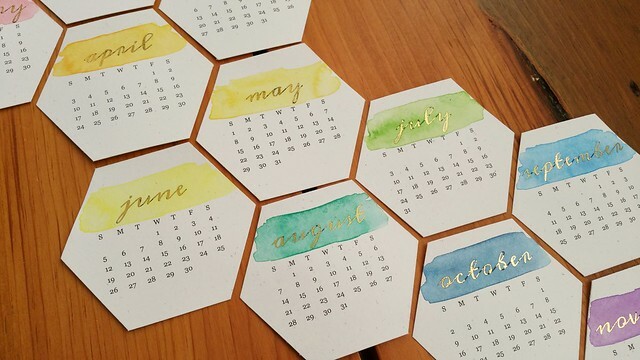 If the month is gold-foiled, it will resist the watercolor. Enjoy the happiness that is a rainbow of watercoloring!